I love to watch the sky, how it changes from moment to moment, the incredible array of colors and patterns, and of course, blue is my favorite color! 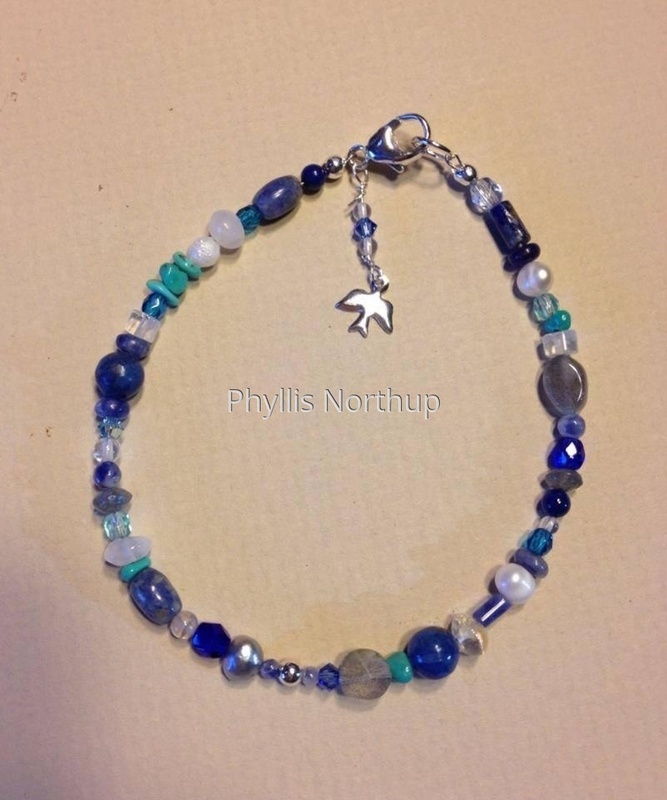 This bracelet attempts to capture the beauty and mystery of the sky with blues of swarovski crystals, lapis, Czech glass, sodalite and turquoise. Quartz and the organic shapes of the freshwater pearls mimic the shapes of clouds and hints of blue and gray in the labradorite represent the shadowy underside of the clouds. A lovely small sterling silver bird dangles as if soaring above. All silver is sterling. Size approximately 7.5". Presented on a hand painted "skyscape". Price includes shipping.